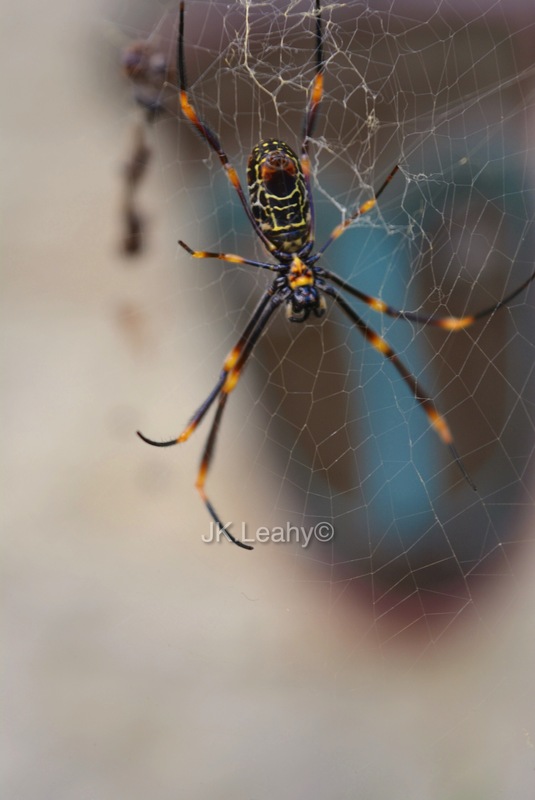 My shot for this week was this tent spider weaving my garden art into its web. Not literally, but strategically so I could have this shot. I have this paper mache mask I bought at the World Festival for Island Cultures in Cheju, Korea in 1998. It was made by Vijoula, a friend who comes from Mauritius. I have lost touch with her, but I keep the mask in my happy place – the garden. If you are out there Vijoula, get in touch. I have a cool clip somewhere, probably one of our videos, that juxtaposes a spider building/repairing her web with a wicked guitar solo…looks like the spider is plucking it’s web in time with the lead. A happy and productive 2016 to you! Wow – sounds so cool. I hope you can post it. Thank you so much and best wishes for 2016 back to you. Enjoy, it’s just a little video I slapped together a couple years back. Awwww – how awesome! Thank you very much. It was pretty wild..I love it! Hahahaha. 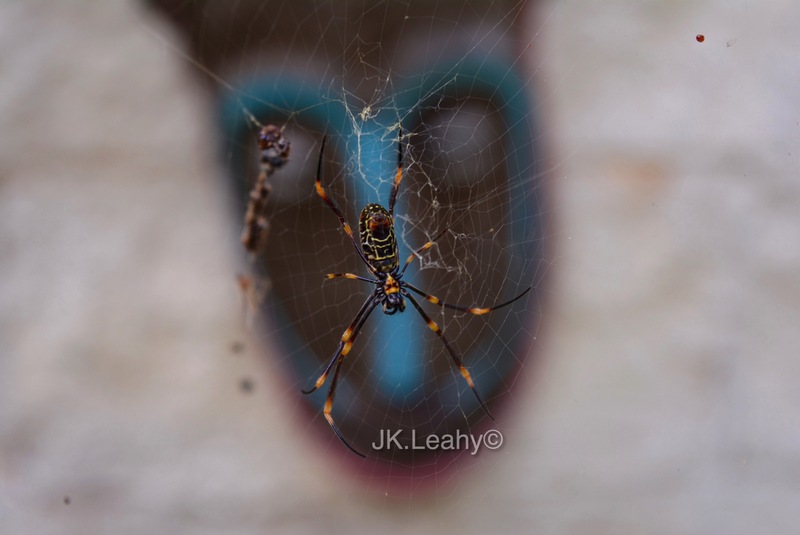 I cannot truly think of a smart reply, I’m just laughing..I think the spiders know I am a weaver (natural fibre kind) so they love to hang around my ‘web’…lol. True..it is fascinating to watch them. I saw a huge one and took some close ups and when I got up, I saw 6 others in different parts of the garden. This one happened to be near the front door – they are everywhere at the moment. All harmless.